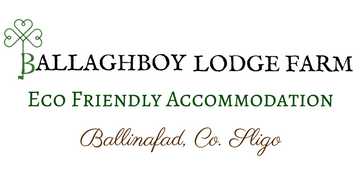 Ballaghboy Lodge Farm sits in County Sligo in Western Ireland…Yeats Country. If you are outdoorsy, there is no lack in walks or hikes. Only 35 minutes to the Atlantic Ocean and you can be on beaches such as Ross’s Point and Mullighmore. We are surrounded by beautiful lakes for boating, fishing, kayaking, and swimming. Here are a few things to do locally. Co. Sligo has many beautiful walks. Check out this amazing video made by Sligo Walks showing just a few of them! Only a 25 minute drive to the beautiful Strandhill beach, where you can take a surfing lesson and then be served up the best fish and chips! Surrounded by beautiful walks with amazing views Strandhill is a lovely way to spend the day. There are walks at the base of Benbulbin as well as on top…or just look at the stunning rock formation from anywhere around Sligo. In May the entire Bluebell forest floor is covered with a carpet of these beautiful little blue flowers. A magical hidden world at the base of Queen Maeve’s grave…not to be missed! Also know as Queen Maeve’s Grave, this walk gives you a commanding view over the Atlantic Ocean and over all of Sligo and beyond. Read about the mythology here. Pack a picnic and explore the Caves of Keash, only 15 minutes from the lodge. Ballaghboy Lodge Farm looks out over this megalithic complex and is just a 15 minute drive away. From here you can enjoy views to Benbulbin, and overlook Lough Arrow and beyond. Mullaghmore beach is nestled within a fishing village and is 40 minutes north of Ballaghboy Lodge Farm. Perfect for tide pools, swimming, fishing, boating or the loop walk that takes you along the bay and past the Classiebawn Castle. Check out the beautiful beach of Rosses Point. Rosses Point. 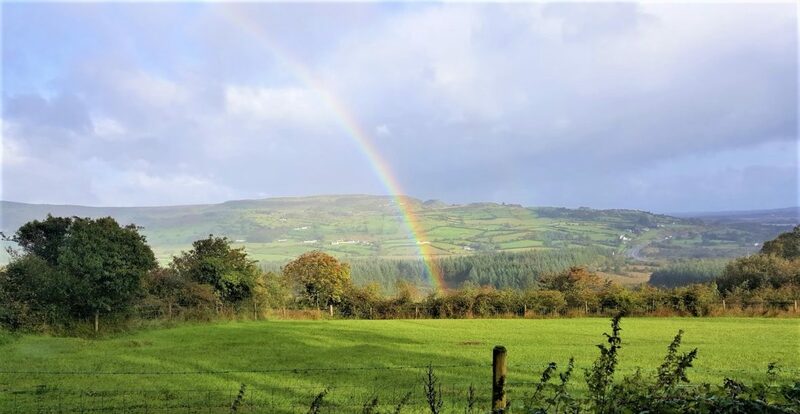 Image courtesy of Sligo Walks. Tobernalt is a natural spring located in a primeval forest. It is situated at the South West corner of Lough Gill.